Additional License to install Salsa Grooves. If you already bought a copy of Salsa Grooves and wish to install it in multiple computers, you don't have to pay the full price! You actually qualify to buy up to 2 additional licenses for only $4.99 each!! Licenses are per computer. The activation code you receive will only work for the computer you installed it on when you requested the activation code. By buying an additional license, you can request an additional activation code that will make Salsa Grooves work on another computer. In order to qualify for this deeply discounted price, you must purchase (if you haven't already) a copy of Salsa Grooves at the full price. By buying an additional license, you will not receive another CD or download. Instead, simply install Salsa Grooves on another computer by using the same CD or the Salsa Grooves installer you downloaded when you bought Salsa Grooves at full price. 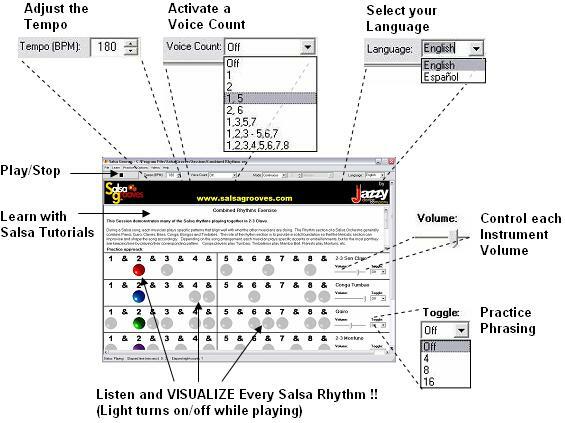 The additional license allows you to request the activation code for the new computer where you install Salsa Grooves.